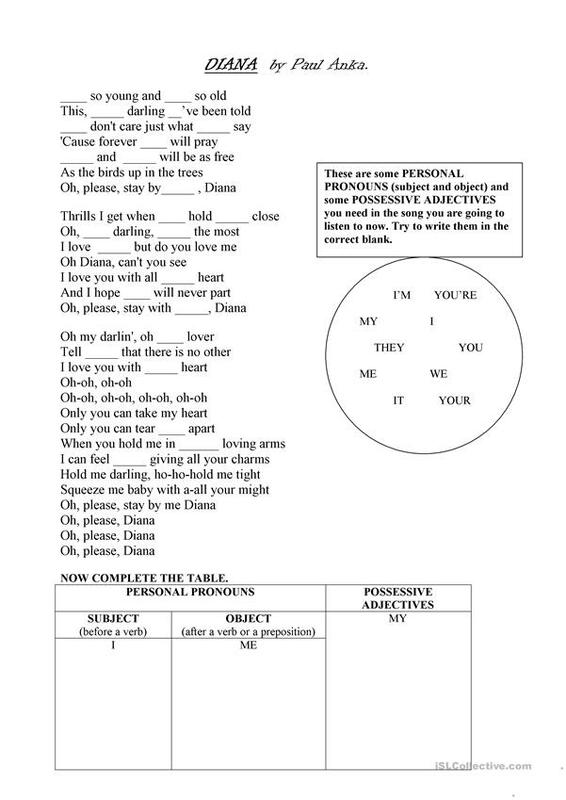 Although it is an old song, it is great to work on possessive adjectives and personal pronouns (subject and object). They would like it. You can download it easily. This downloadable worksheet is intended for high school students at Elementary (A1) and Pre-intermediate (A2) level. It is great for practising Personal pronouns in English, and can be used for strengthening your pupils' Listening and Reading skills.